There are 90 belugas and 11 orcas — and time is running out. For 90 belugas and 11 orcas, life has become one miserable event after another — and things aren’t getting any better for the cetaceans. Over the summer, Russian traders drove boats into the open ocean to capture these wild belugas and orcas so they could sell them to marine parks in China. 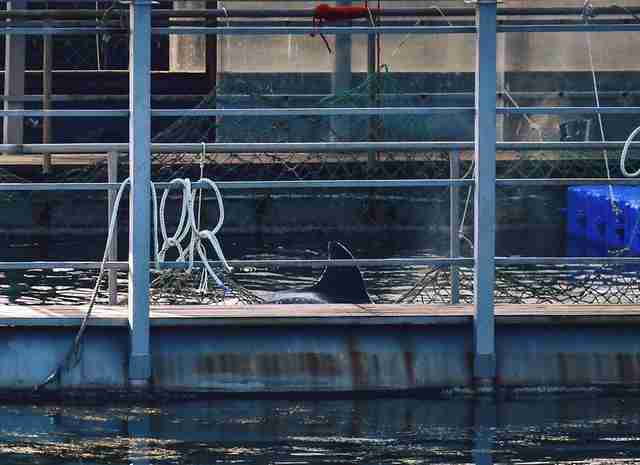 (In the past, U.S. facilities have also obtained cetaceans from Russia; the most recent request, by Georgia Aquarium and SeaWorld, was denied by federal officials in 2015.) 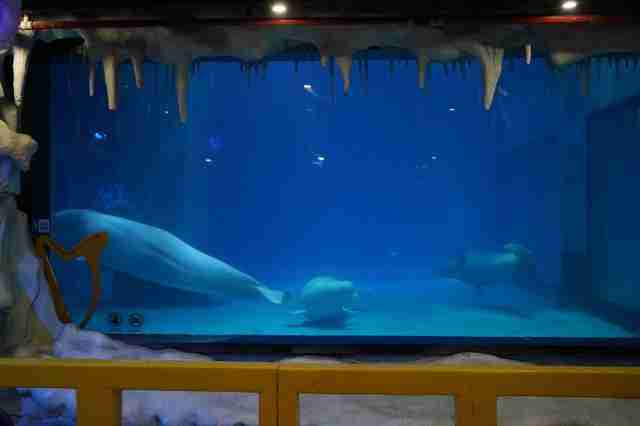 Sadly, marine parks, dolphinariums and swim-with-the-dolphin programs are becoming increasingly popular in China, which means there’s a growing demand for animals to fill their tanks — and Russia and Japan are usually the countries that supply this demand. Once the animals are caught, the operators will pick and choose which animals they want to keep. They’re particularly interested in juveniles between 3 and 4 years old, Rose explained. 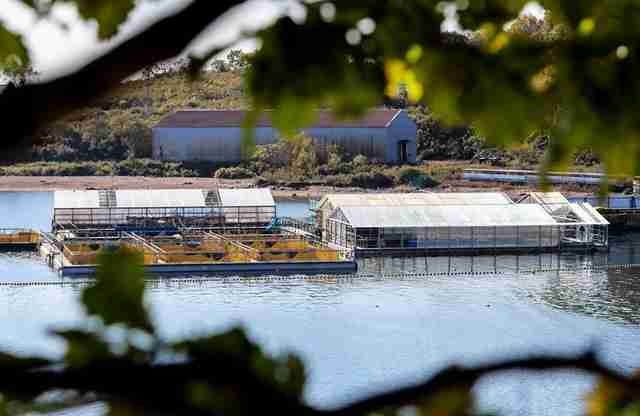 After the trauma of the capture process, the belugas and orcas are taken to a facility in Srednyaya Bay, near Nakhodka, Russia, where they’re kept in tiny holding pens until the traders secure buyers, and it’s time for them to be moved to China. 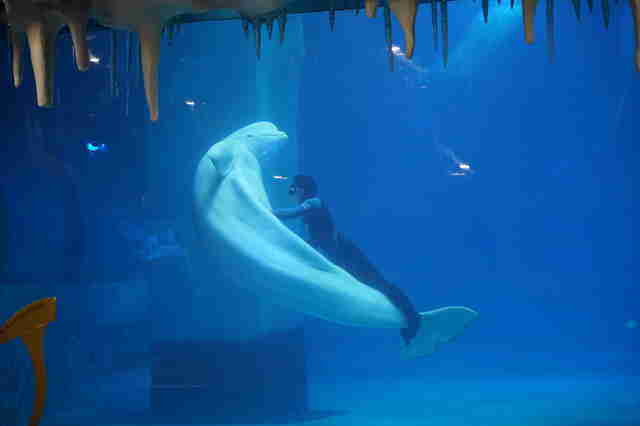 It’s actually illegal in Russia to capture and sell cetaceans for commercial purposes, but the individuals and companies orchestrating this trade have found a loophole — they claim to be trading the animals for educational purposes only, which enables them to get the appropriate trade permits from the CITES Management Authority in Russia, Rose explained. It’s also not entirely clear who is driving or prohibiting from this trade. “This is why we emphasize so strongly that the education these facilities offer is either nonexistent or wrong … [and] that most facilities do nothing for conservation and in fact often harm conservation efforts by participating in this live trade,” Rose said. 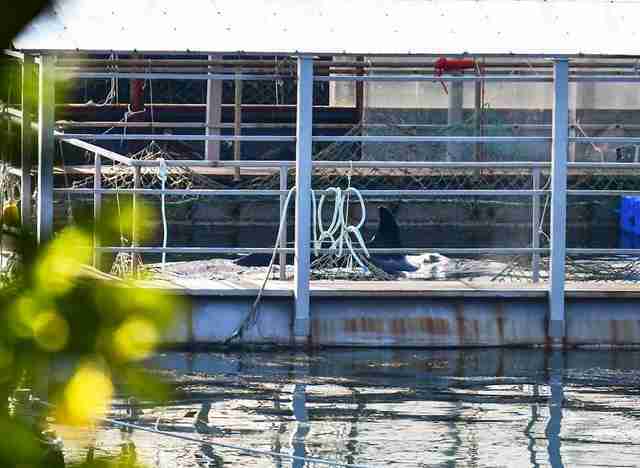 When it comes time for the cetaceans to be transported to China, they’re put into slings, placed in boxes half-filled with water and hoisted by crane onto the cargo holds of planes. When they finally arrive at their destination, many of them end up dying, Rose said. However, China will likely cover up any such mortalities. If you want to help these belugas and orcas, and try and stop this trade, Rose urges everyone to speak up about this issue. It’s also important to not support marine parks that keep whales or dolphins captive, especially if they make them perform. You can support investigations into the global cetacean trade by making a donation to the Animal Welfare Institute.